Cyberpunk Noir Thriller >observer_ Comes to Nintendo Switch on February 7th. The Most Advanced Cyberpunk Game on the Nintendo Switch will launch via the Nintendo eShop worldwide on February 7 for $29.99 / €29.99, from publisher Aspyr Media and developer Bloober Team announced. The psychological horror game Observer first launched for PlayStation 4, Xbox One, PC, and Mac in August 2017. February 1, 2019, Kraków, Poland — Bloober Team, the successful indie studio who brought you Layers of Fear, is now prepared to launch the most advanced cyberpunk game to ever come to the Nintendo Switch. 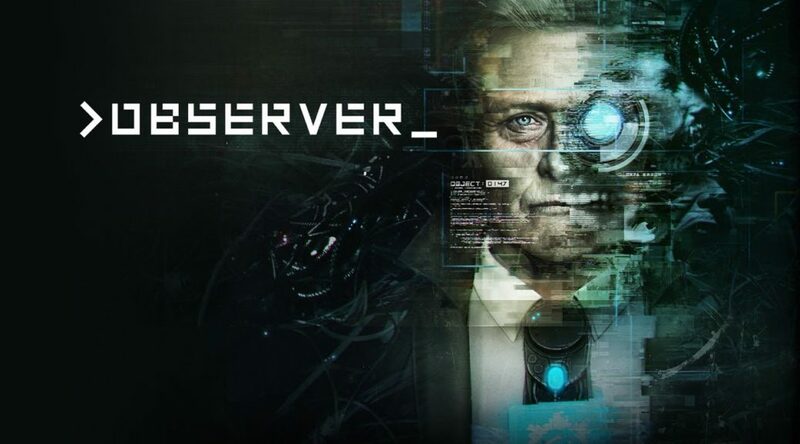 >observer_, the cyberpunk noir thriller released to high accolades on PC, Xbox One, and PS4 is releasing worldwide on February 7, 2019, for the Nintendo Switch at a retail price of $29.99 USD/€29.99. observer_ is a cyberpunk, detective thriller set in the year 2084 in Krakow, Poland. The world lies in ruins with corporations seizing power after the fall of governments. You do their bidding. No lie will remain hidden from you, as you hack into the minds of those you interrogate. When your past catches up with you, you must act on your own and unravel the mystery of your son’s disappearance. Your name is Daniel Lazarski, you’re an Observer.